If you know anyone who may be interested in club swimming, we run a swim school in conjunction with Highlife Highland running over an 8 week period, commencing 2nd February 2018. This will be free of charge for Highlife members. 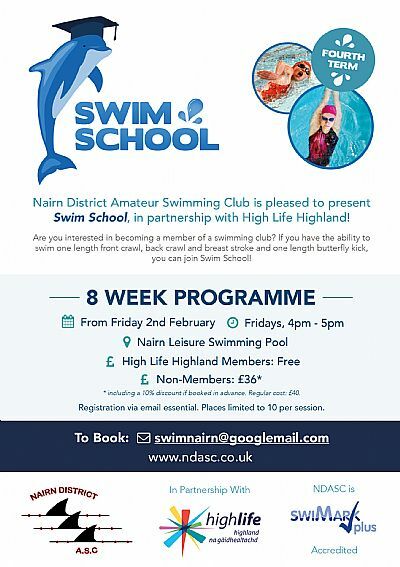 Please contact NDASC by email on swimnairn@googlemail.com or contact Nairn Swimming Pool to register your interest.